Every month, I look at the most liked and shared recruiting content on Facebook, Twitter, and YouTube, and pass their best practices on to you. Here’s how three top brands are effectively engaging job-seekers on social platforms and what you can learn from their success. This week, Kohl’s Careers posted a photo of an employee in a warehouse with the text, “Day or night, our Ottawa team needs you.” The Facebook post included more information, including the starting pay (a bold move in itself), and a link to apply. Altogether, a good, interesting image. But what really impressed me was what happened in the comments. A woman posted, “That’s my wonderful husband. He does it all for his family. Keep it up, baby!” which itself got six likes. Then Kohl’s responded, “Dave does a great job representing Ottawa and providing for his family! (p.s. We hope the boys are doing well! ),” and a link to a video featuring the same employee. That was the first of many more comments, and the social recruiting team stuck around to respond to a remark about layoffs, stating, “We are hiring Seasonal team members, which are limited-term assignments that can last up to 6-months.” They then gave an email where the “layoff” commenter could ask more questions. The result of these friendly, supportive, informative interactions? 111 likes, 263 shares, and 62 comments, many of which had their own string of replies and likes. And Kohl’s probably made a lifelong fan and brand ambassador of Dave Mikkelsen, who became “Internet famous” for a few days and earned public support from his wife, co-workers, and friends. How you can be like Kohl’s: Kohl’s Careers gets credit for a good Facebook post, but it really shined when Dave’s wife commented. Many organizations would have either ignored the comment (since it didn’t require a response) or just “liked” it or offered a brief, bland “We love Dave” type of reply. Instead, Kohl’s showed the world its closeness to Dave by posting “We hope the boys are doing well” and posting a video that also featured Dave. So don’t just use your employees in photos or videos and then forget about them! They have every reason to share the content they’re in and can become employer brand ambassadors if you treat them with respect. Do you know your employees well enough to post a reply like Kohl’s did? Do you monitor Facebook comments for opportunities like this one? Would you have ignored or deleted the remark about layoffs — or responded with information and an email address? 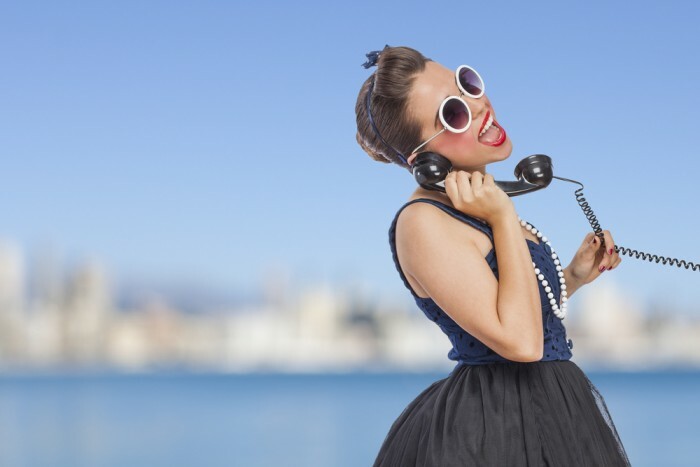 These are all-important questions for your social recruiting team. DisneyStudiosCareers recently tweeted a photo of its Burbank headquarters, adding, “Mid-day break on the Lot…” and a hashtag #JustAnotherDayAtTheOffice. The picture shows the distinctive Disney water tower and a mountain in the background, but little else. Despite the possibility of a superhero movie or Disney Channel show shooting on the lot, the image shows no activity, no celebrities, no sets. In short, it’s not a very interesting photo — it’s not even in focus. Yet the tweet earned eight retweets and 18 favorites and was one of the account’s most popular posts of the week. 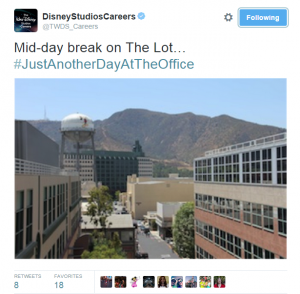 How you can be like Disney Studios: Disney Studios Careers’ photo truly illustrates that any kind of content can generate a response. Disney has much more interesting visual assets than a grainy photo from someone’s cubicle. But a Twitter account needs a stream of original content, so one of the recruiters figured a photo of the campus would be worth a try. Organizations should show off their offices and neighborhoods, and here a glimpse of the Santa Monica Mountains reminds job-seekers that Disney is near Los Angeles and Hollywood. What can your team take a quick photo of? What images do you have access to that are worth a tweet? What are other strengths does your organization have that you want to remind job-seekers? Take a hint from Disney and tweet away. Comcast Careers’ YouTube channel features dozens of compelling videos, divided into categories like “Women of Comcast” and “Realistic Job Previews.” Its latest addition to the latter channel is a brief video about Kalila, a User Experience Designer. She narrates the video and appears on camera, and shows us a typical day at Comcast’s Philadelphia headquarters. The video shows her meeting with her team (always standing up, I noticed), writing on wipe-erase boards, and typing at her computer — an accurate if not thrilling depiction of a UX designer’s life. “I not only make things look good,” Kalila says, “I make them easy to use as well.” A great summary for a somewhat arcane job. No one else speaks in the video and there’s no overall narration or on-screen titles. This is one employee’s spotlight. It’s well-paced and short: just over two and half minutes. All the action takes place in the office, except for a brief clip of Kalila riding her bike to work. The whole thing couldn’t have cost much money. The video, just uploaded a few days ago, already has almost 500 views and eight likes. How you can be like Comcast: Job-seekers love watching realistic job previews like this one. Letting your employees be the stars is a great strategy for humanizing your organization and showing how much you value your staff. Find a well-spoken employee, follow them around with a camera for a few hours, and interview them for a few minutes. Or let them shoot their own video, allowing their personality to fully come through. Kalila is neither a senior executive nor a fresh-faced new hire (though Comcast has videos of those, two) so she speaks to the mid-career technical worker. One tiny thing I love about this video — Kalila says she rides her bike to work, “unless it’s raining.” How many companies would leave in that qualifier? How many would admit that it rains in their city? That sliver of honesty and transparency speaks volumes to job-seekers.